Block type heat exchanger / air/water - WISW series - E.T.A. S.P.A.
Industrial machines and equipment > Heat Exchanger and Refrigeration > Heat exchanger > E.T.A. 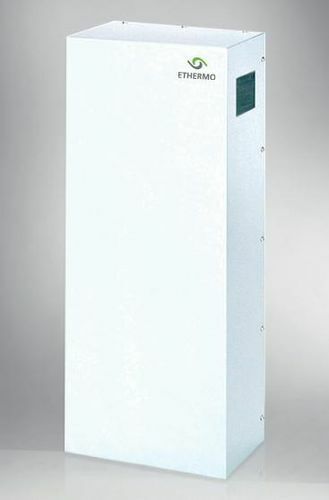 S.P.A.
WISW Air to water heat exchangers come in seven sizes with various types of power supply and allow both wall and roof mounting. They are favorable for working conditions of 10°C with cooling capacity of 870-25000 W. They require almost no maintenance and have IP55 protection rating on the cabinet. They are fabricated with steel sheets and are painted in RAL 7035 textured finish. The integrated electronic components in the cabinet require adequate measures against dust, pollutants and high temperatures, so as to provide proper air circulation or conditioning minimizing cost and time for a optimum performance.